Music is a powerful platform for reaching millennials and multicultural audiences, a fact not lost on Toyota, where music festival sponsorships and activations strike a chord with these potential car buyers. 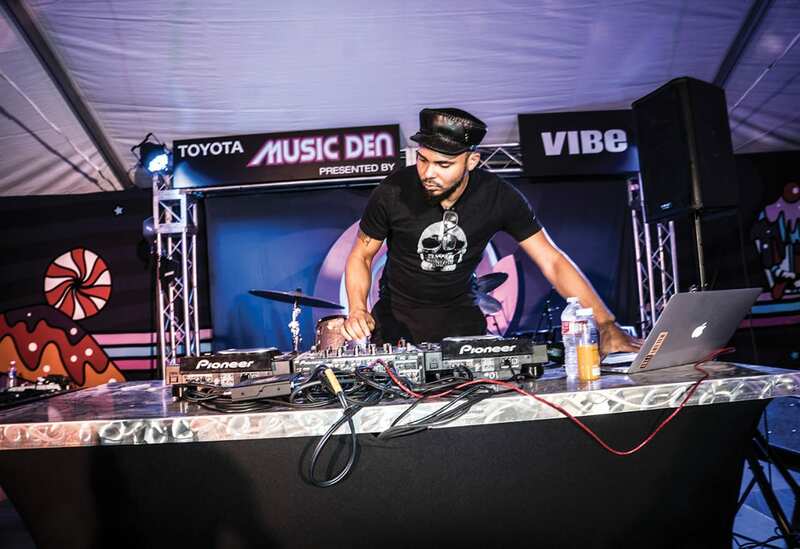 The company activated a partnership with music publication THE FADER to sponsor two events at The FADER FORT in Austin, an annual celebration of emerging artists and culture that will take place in March.In 2015, the Japanese automaker had a major presence at rock festivals including Lollapalooza, Outside Lands, Life Is Beautiful and Voodoo Festival, along with Stagecoach, for country music, and Nocturnal Wonderland, an EDM festival that takes place outside of L.A. Toyota also sponsors regional events like the California State Fair where it presents free concerts. Toyota and its vehicles have had a major presence at Lollapalooza, Outside Lands, Life Is Beautiful, Voodoo Festival, Stagecoach and Nocturnal Wonderland. Add to that the idea that Toyota vehicles, with their state-of-the-art sound and entertainment systems and partnerships with SiriusXM and Pandora iHeartRadio, are a lot like rolling boom boxes on wheels, and you have a product that reverberates with music lovers. “We want to be a part of that experience, we want to help drive discovery and acquisition, personalization and sharing of music, with a focus on live events. We don’t just bring the vehicles and park them,” Raju says. The Toyota footprint at the festivals is anything but a static showcase. The cars serve as props for photo ops and challenges that pit teams of festivalgoers against one another in races to fill the cargo area with as many objects as possible, adding a fun competition to the space as well as a spotlight on the car’s roomy trunk space. At Lollapalooza and the other rock festivals, as part of its Toyota Music Den activation, festivalgoers could jump into a Corolla to take a kaleidoscope photo or inside the Crazy Candy Camry where the trunk was turned into a vending machine. At a second footprint at those festivals called Downside Up twisted by Toyota, attendees could sit inside a Prius styled like a Cheshire cat for a conversation with a Riddle Kitty. The on-site activations feature DIY stations where attendees can make Shrinky Dinks, custom stamp leather goods and silk-screen tote bags or commemorative posters. People lined up 50 deep at the Stagecoach country music festival to snag custom-created bandannas co-branded with Toyota and festival logos. 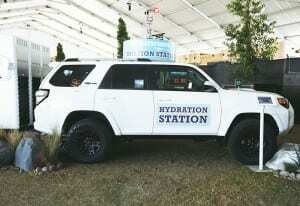 At Stagecoach, which takes place in April near Palm Springs where temperatures can climb to triple digits, Toyota offers cooling zones with misters and hammocks for relief from the heat and the chance to hang out with the vehicles. Also at Stagecoach, and at Firefly, where attendees camp out throughout the festival, its campground oasis offers breakfast bars and sponsors djs. 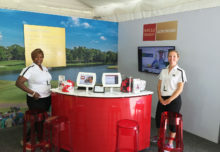 These are standard auto marketing fare, but Toyota’s fun courses at the music festivals take them up a notch. At Stagecoach, attendees can take Toyota trucks off-roading over courses with ramps and logs and other fun stuff as they get to experience first-hand the trucks’ maneuverability and utility. 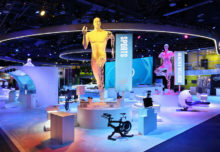 Toyota partners with SpinMedia, a pop culture and music collective based in L.A. whose bloggers arrange the special performances and artist interviews that take place in the on-site Toyota Music Den. Toyota brought Mexican-American singer-songwriter Becky G and Puerto Rican musician Raquel Sofia to Lollapalooza and Outside Lands to capture the experience through their eyes and create real-time content for theirs and Toyota’s social channels. 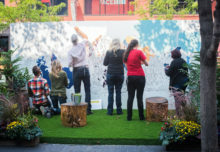 Toyota unleashes its creative side at its festival activations to further engage attendees and give them something to remember. 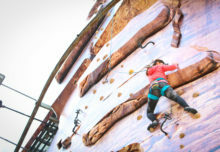 At the rock festivals, the Toyota Music Den resembles a twisted childhood tale come to life, a theme that melds storybook fantasy with neon colors and larger-than-life scenery; Downside Up is a kind of dark Candyland or Alice in Wonderland experience that flips everything on its head. At Stagecoach, on the other hand, attendees got to decorate an on-site Camry, play Skeeball in the back of a RAV4 and take line dancing lessons. Through its Toyota Giving initiative, Toyota encourages attendees to donate to charity such as the VH1 Save the Music campaign. Fans at Lollapalooza, Outside Lands, Nocturnal Wonderland and Life is Beautiful shared what music meant to them by writing on a leaf that was posted to a Whispering Willow Tree, a giant neon sculpture that traveled to each of those festivals. For every fan who shared their response on social media using the hashtag #ToyotaGiving, Toyota donated $1, which added up to a $30,000 gift to LaPlace Elementary School in New Orleans for hiring a music teacher and purchasing musical instruments. The artist Santigold performed a special concert for the students. Festivalgoers who opt in can receive emails from the brand as well as an entertainment newsletter that goes out during festival week, and if they are in the market for a car, can ask to be contacted by a dealer. It all adds up to a great way for consumers to connect with the brand with no sales pressure. “We know many people don’t look forward to going to a dealership to check out the cars, so we take them to places that are fun,” Raju says. Agency: Saatchi & Saatchi, Los Angeles.